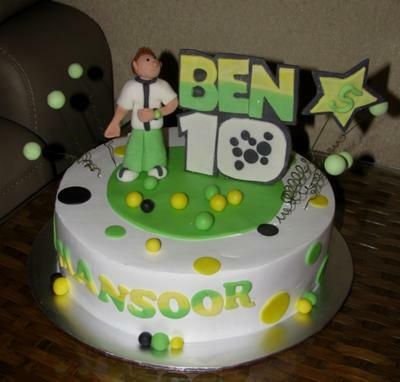 To make this Ben 10 cake, I baked a round cake and frosted it with whipped cream. All the decorations are made of modeling fondant. Popular among the boys below 12.